Welcome to the FRONTIER Miles Program (FRONTIER Miles or Program). FRONTIER Miles, formerly EarlyReturns, is a member rewards program offered by Frontier Airlines (“Frontier”) that allows Frontier passengers to earn and use FRONTIER Miles (“Miles” or “Mile”), in accordance with the Terms and Conditions outlined below. The following Terms and Conditions (hereafter “Program Rules” or “Rules”) apply to the Program. By gaining access to, using this www.flyfrontier.com or enrolling in FRONTIER Miles, you agree to bound by these Program Rules along with the Frontier Airlines Legal Terms, including, without limitation, the Website Terms and Conditions and Flight Terms and Conditions. FRONTIER Miles reserves the right to change or cancel these Program Rules, in whole or in part, at any time, in its sole discretion and without notice to you by posting updated text on this site. Please review these Rules periodically to ensure you are aware of any changes and are familiar with the most current version. For clarity, any such change to or cancellation of these Program Rules will apply to all FRONTIER Miles Members ("Members"), even those who enrolled before the Program made such a change or cancellation. FRONTIER Miles is a paperless, electronic customer loyalty program. Register online or through the FRONTIER call center at (801)-401-9000. Customers with hearing or speech impairments can dial 7-1-1 to reach our toll-free relay service. Membership in the Program is open to any individual person paying an adult fare, in any country that has not prohibited participation in frequent flyer programs. Other entities or parties, including but not limited to, corporations, animals, travel agencies, etc. are not eligible to enroll as members or earn miles or receive any benefits in connection with the Program. **Per the Children’s Online Privacy Protection Rule (COPPA), children ages 13 years or younger require parental consent to participate in the FRONTIER Miles program. Further, parental permission may be revoked at any time requiring no new information be collected on that child without further parental consent. Members may only have one FRONTIER Miles account. In cases where a single Member holds two accounts, one account will be closed and eligible Miles will be transferred to the remaining active account. Some bonus Miles are not eligible to transfer, including but not limited to enrollment bonuses (if such a bonus exists) or duplicate transactions. FRONTIER Miles accounts are non-transferable. Each Member must provide his or her first name, last name, gender, date of birth, address, telephone number and a valid and individual e-mail address in order to register and enroll in FRONTIER Miles. For login purposes, Members may not share an email address; each Member, including minors, must provide a unique email for login purposes. Requests for name changes may require supporting legal documentation (marriage, divorce decree or legal name change documentation). Member is responsible for reporting any changes to address, phone number, email address or legal name. While Frontier may issue monthly electronic statements for FRONTIER Miles accounts, each Member is responsible for remaining knowledgeable about their account information, including, but not limited to, accumulated Miles, redeemed Miles, scheduled expiration's and the Program Rules. Account information can be found on the Profile Page, by signing into FRONTIER Miles. By enrolling in FRONTIER Miles, Member expressly authorizes Frontier the use of any stored contact information for marketing and communication purposes. Purchasing flights: All Members will earn one (1) mile per mile flown on Miles flights. Number of miles will be calculated using airport-to-airport air mileage distance as determined by Frontier. Members flying without a change in flight number between origin and final destination will earn the actual miles computed between the origin and destination city without including the stop over. On trips between origin city and final destination that include a connection requiring a change in aircraft with a new flight number, mileage will be computed based on each flight segment. A segment is a flight between two airports using one flight number, regardless of the number of intermediate stops or changes of planes. Programs with other with FRONTIER Miles Partners: Members must provide their FRONTIER Miles number to the Partner at the time of Rental or Reservation. For past date credit, you must contact the Partner directly. Although FRONTIER Miles allows retroactive credit up to 180 days, Members must agree to the individual Partner’s terms and conditions for retroactive accruals. Regardless of partners terms and conditions retroactive accruals can never exceed 180 days. Frontier Airlines World Mastercard and Business Mastercard from Barclays: Miles for purchases accrue in several ways based on card type. Please see your Barclays cardholder agreement for earning Terms and Conditions. Terms and conditions are subject to change without notice. Special offers and/or programs with FRONTIER Miles partners: Frontier may, in its sole discretion, periodically offer Members the opportunity to earn additional Miles through the purchase of other Frontier Airlines products. Products may include flight incentives or other Frontier ancillary products or services (e.g., carry-on bags, checked bags, advance seat assignments, etc. ), bonus offers and/or offers in connection with FRONTIER Miles Partners), which may include other Frontier partners. These offers may be temporary in nature. Frontier reserves the right to modify or eliminate such offers at any time. These offers are void where prohibited by law. The number of Miles offered is subject to Frontier's sole discretion. All special offers involving Miles or the Program are subject to these Program Rules. In addition to these Program Rules, FRONTIER Miles partners may have special terms and conditions that provide additional rules for the earning, transferring, accumulating, and redeeming of miles. Miles partners are independent entities and are not agents, employees, or subcontractors of Frontier, and Frontier is not responsible for their acts or omissions (including, without limitation, their solicitation efforts) or any products or services supplied by them (including, without limitation, the nature or quality of their products or services). Some delay may occur between eligible transactions and the posting of Miles to your FRONTIER Miles account. 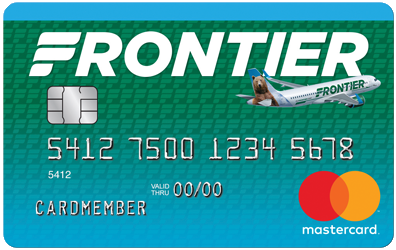 To receive miles for eligible activities, the Member name and FRONTIER Miles account number provided in connection with the reservation or purchase must exactly match the Member name and FRONTIER Miles account number registered with Frontier. For example, and without in any way limiting the generality of the foregoing, for a flight purchase, the name associated with the FRONTIER Miles account number provided for that flight purchase must exactly match the name of the traveler. Any discrepancy may delay or void receipt of Miles. A Member may request retroactive accrual at www.flyfrontier.com by signing into their account and selecting the “Add Trip” button on their Profile Page or by contacting our FRONTIER Miles team at (801) 401-9000. Any claim for un-credited Miles earned from flights operated by Frontier must be received by Frontier within six months (180 days) after the Miles were earned from a qualifying Miles flight. You are responsible for ensuring that Miles earned are properly credited to your FRONTIER Miles account. If you believe that Miles have been earned but not properly credited, you may be required to submit documentation or other proof satisfactory to Program, which may include, without limitation, copies of boarding passes and receipts. Miles may take 48-72 hours to credit to your account. Miles will not be awarded on unused, cancelled, forfeited, refunded or fraudulent travel bookings or purchases or activities, as determined by Frontier in its sole discretion. Frontier reserves the right to offer incentive bonuses to Members who book travel online through www.flyfrontier.com. The activities and/or transactions eligible for earning miles, and/or the number of miles available to be accrued, are subject to change by Frontier, at any time, without notice or liability. You may redeem FRONTIER Miles for the base fare of a Frontier operated and marketed flight ("Award Flight"). Frontier also may offer, in its sole discretion, opportunities to redeem Miles for other products or services. Miles may not be redeemed for any product or service except as expressly permitted by Frontier. Reservations for Award tickets on Frontier Airlines may only be made directly with Frontier, either at www.flyfrontier.com or by calling our Reservation Center at (801) 401-9000. Please note, there is no booking charge at www.flyfrontier.com, but a Reservation Service charge will apply to all Award tickets booked via our Reservations Center. Award tickets may be booked approximately eight (8) months in advance or as the flight schedule permits. Award Flights are subject to taxes and fees, with start at $5.60. Upon confirming an award travel booking, the appropriate Miles will automatically be deducted from the Member’s account and/or Family Pool. Any changes to award tickets must be made by Frontier by calling (801) 401-9000. Any changes to Award tickets made eight or more days prior to travel will not incur a change fee if the class of service is available for the new flight requested. A $99 change fee will apply for any changes made to an award ticket within seven days of travel. Award tickets may only be issued by Frontier. Program Partners and/or travel agents may not issue Award tickets. Award tickets are only issued for published routings, and destinations offered by Frontier. However, not all routes may be available for Award tickets. All Award tickets must have confirmed reservations on all legs/segments; no open tickets are issued. All Award tickets are subject to availability. Seats may not be available for Award tickets on all flights on all days. Seat availability depends on the flight, the date of travel, the expected demand, season, destination, and other factors. Where applicable and permitted by law, any taxes, fees, and governmental or airline surcharges (such as fuel) remain the responsibility of the Member and must be paid with a credit card at the time of reservation. Award tickets will be issued in the form of an e-ticket. Stopovers (overnight stays at connecting cities) are not permitted for Award travel. Award tickets do not include advance seat assignments, carry-on baggage, checked baggage or other ancillary products unless otherwise stated. Flights purchased with a monetary payment may not be exchanged or refunded for payment with Miles, in whole or in part. Frontier reserves the right to revise, amend, modify or discontinue the products or services for which Members may use Miles (in whole or in part) and/or the number of Miles required to redeem any product or service (including but not limited to Award tickets) in connection with the Program. Frontier’s Flight Terms and Conditions (including but not limited to change/cancellation policies and fees) apply to Award Flights, respectively. In the event a Member cancels Award travel, miles will be re-deposited to the original Member's Account (redeposit fees may apply). Miles used to purchase the Award Flight will be automatically forfeited if a Member does not cancel prior to scheduled departure. Air travel on Frontier (including Award Flights) is governed by Frontier’s Contract of Carriage, a copy of which is available at www.flyfrontier.com, at all Frontier Airlines locations. Please review the Ticket Terms and Conditions and Contract of Carriage for travel requirements and restrictions, liability and baggage limitations, and requirements for the travel of minor children. Visit our baggage information page for additional requirements and restrictions. Frontier’s Customer Service Plan and Contingency Plan for Lengthy Tarmac Delays also apply to flights operated by Frontier. For clarity, these provisions only apply to the extent applicable for flights operated by Frontier. For domestic and international travel, customers must present government-issued photo identification. For international travel, please contact the relevant embassy or consulate for details on travel documentation requirements. It is your responsibility to verify your flight information and follow Frontier’s recommended check-in times listed on the airport information page. Failure to do so may result in the loss of your seat to another customer and/or denied boarding. Mileage in a Member’s account does not expire so long as the Member generates accrual activity every six months; this includes any purchase activity on the Frontier Airlines World Mastercard. Unredeemed mileage accumulated in your account will expire at the end of the six-month period after your last accrual activity date. Other account activity, such as redeeming or other miscellaneous adjustments, will not extend your expiration date. Although not required, Frontier may send notification to remind Members of upcoming expirations. To receive these such notifications, Members must be “opted in” to Frontier’s email correspondence. The following fare, payment, and/or passenger categories are excluded from earning Miles in the Program. Award tickets or free tickets of any kind. Tickets issued under trade and barter agreements with Frontier. Refunded, forfeited and unused tickets. Voluntary flight changes in lieu of non-stop and/or direct flights for the accumulation of additional mileage is not permitted. Free car rentals, hotel stays, or any other free service provided by a Program partner. Any Person traveling on airline passes and/or industry or agency discount tickets, including, but not limited to airlines staff and travel agent tickets. Tickets purchased for additional seats to carry excess baggage (i.e. ; fragile items, musical instruments, medical or other equipment, etc. ), pets, or to provide extra space for the passenger. Participation in the FRONTIER Miles program is voluntary. Members may choose to close their account at any time. Fails to comply with these Program Rules. Misrepresents any material information (e.g. flight information). Acts in an untoward manner, displays harassing behavior or any refuses to follow an Frontier representative’s instructions. In the event of termination of Membership, any accrued miles will be forfeited. The Frontier Airlines World Mastercard and Frontier Airlines Business card are issued by Barclays Bank Delaware and are subject to the terms and conditions of the Cardholder Agreement between the cardholder and Barclays Bank Delaware. See the Cardholder Agreement for the terms and conditions that apply in connection with the accrual of Miles and the transfer of Miles to your FRONTIER Miles account. All cardholders will be required to agree to the applicable terms and conditions of the FRONTIER Miles program before any Miles can be redeemed. Redeemable Miles are all Miles accrued in an account either by flying with Frontier, using your Frontier Airlines World Mastercard, earning miles with a Frontier travel partner or Miles purchased using our mileage partner Points.com. Redeemable Miles may also include incentive or bonus miles either with Frontier Airlines or one of its published partners. Not all Redeemable Miles are considered qualifying miles. Qualifying Miles are any Redeemable Miles that are accumulated by flying Frontier or with your Frontier Airlines World Mastercard. Qualifying Miles do not include any promotional miles, miles earned with other travel partners, purchased Miles from Points.com or mileage bonuses issued based on current status, unless explicitly stated. For information on accumulation rates on your Frontier Airlines World Mastercard account, please see your cardholder agreement provided with your credit card. Priority Boarding or Express TSA at participating airports. Advance Seat Assignment for the Member only. Carry-on bag for the Member only. Last seat available Award ticket option. Can be applied to any traveler using an Elite Member’s Miles. Stretch Seats upon check-in, for the Member only. Advance Seat Assignment, including Stretch Seating at booking, for the Member and up to eight (8) other Members traveling on the same reservation with the same confirmation number. Receive a 50% discount on Discount Den Membership – If already a Member of the Discount Den, membership will be reduced upon renewal so long as the Member remains an Elite 50K member. Receive a 25% redeemable mileage bonus on all eligible Frontier flights. Mileage bonus does not apply toward annual Elite qualifying miles. Carry-on baggage for the Member and up to eight (8) other Members traveling on the same reservation with the same confirmation number. One (1) checked baggage item for the Member and up to eight (8) other Members traveling on the same reservation with the same confirmation number. Free Discount Den Membership – If already a Member of the Discount Den, membership will be reduced upon renewal so long as the Member remains an Elite 100k member. Receive a 50% redeemable mileage bonus on all eligible Frontier flights. Mileage bonus does not apply toward annual Elite qualifying miles. A FAMILY ACCOUNT POOL CAN CONSIST OF ONE (1) PRIMARY ACCOUNT HOLDER AND UP TO EIGHT (8) POOL CONTRIBUTORS. THE PRIMARY ACCOUNT HOLDER (THE PERSON WHO STARTS THE ACCOUNT POOL) MUST BE A FRONTIER AIRLINES WORLD MASTERCARD HOLDER OR ANY ELITE TIER STATUS, AND WILL CONTROL THE POOL. THE PRIMARY ACCOUNT HOLDER CAN REDEEM MILES FROM THE FAMILY POOLING ACCOUNT WITHOUT THE PERMISSION OF THE POOL CONTRIBUTORS. THE PRIMARY ACCOUNT HOLDER MAY REMOVE ANY PERSON FROM THE FAMILY POOLING ACCOUNT AT ANY TIME. POOL CONTRIBUTORS CAN BE ANY MILES CONTRIBUTOR. Frontier Airlines assumes no responsibility for any decisions made by the Primary Account holder. Upon accepting an invitation to join a Family Pool, all miles in your FRONTIER account become available for use by the Primary Account holder. Any FRONTIER redemption's made against mileage balances after accepting the Family Pool invitation will be subject to the applicable redemption terms and conditions. Family Pooling contributors can cancel their participation in Family Pooling at any time. Upon cancellation of a Family Pool, unused Miles balances will go back to the individual FRONTIER account holder who earned such Miles. All mileage redemption balances are redeemed on a first in/first out basis from all combined pooled accounts, which may affect your balance if you choose to leave an Family Pool. Upon choosing to leave a Family Pool, your account will enter a 90 day “cooling off” period in which your account may not enter any previous pools or join or create additional pools. Although a Family Pool allows for combined balances for redeeming, expiration dates are calculated based on a single contributor’s accrual history with the exception of contributors under the age of 18 will be granted an expiration based upon the Primary Account holders expiration date. If at any time an individual contributor does not have accrual activity within the 180 day expiration policy, that contributor’s Miles will expire and no longer be available for redemption by the pool or individually. Membership in the Frontier Discount Den Discount Fare Club (“Discount Den”) is conditioned on acceptance by you of the terms and conditions contained in these Rules. By purchasing a membership to Discount Den or using or continuing to use the benefits of Discount Den, the Member is deemed to have agreed to all such terms and conditions of the Agreement. The Initial Membership Price for Membership in Discount Den℠ is $59.99. The Membership Renewal Price for Membership is $59.99. You must be 18 years or older to enroll in the Discount Den. All Discount Den Members must be a Member of the FRONTIER Miles frequent flier program. If you are not already a member of FRONTIER Miles when enrolling in Discount Den, you will automatically be enrolled in FRONTIER Miles. You must provide and maintain accurate and true personal information when applying for a Discount Den Membership or using any Discount Den benefits. Failure to do so may invalidate membership in Discount Den and any subsequent fare purchase, at Frontier's sole discretion. It is your responsibility to update personal information via the Site within your FRONTIER Miles Account Profile through the Account Profile page. You may cancel your Membership in Discount Den at any time by selecting the unsubscribe option within your FRONTIER Miles account profile on the Site. Go to flyfrontier.com, click on the “account sign in” link, and log in to your account. Then click on your name on the upper right hand of the page, and click on “My Profile.” Your Discount Den status and ability to cancel are on this page. Membership in Discount Den is non-transferable. Only you may use the benefits of Membership in Discount Den. Promptly notify Frontier upon becoming aware of any unauthorized use of Discount Den Membership. You will have access to book special fares on Frontier that are not available to non-Discount Den Members. Membership in Discount Den does not guarantee availability of special fares. All promotions, fares, and any other special offers, whether through Frontier or any of its partners/affiliates, are subject to the terms and conditions specifically pertaining to that offer. You must always be the customer purchasing a special fare and you must be one of the passengers traveling on the special fare. You may not purchase tickets for resale. Changes to your ticketed itinerary will be processed subject to the Terms and Conditions of that itinerary, including, without limitation, with the current change fee(s) in effect plus any difference in airfare for the alternate requested date(s) or flight(s). Upon Membership, you will be charged the Initial Membership Price, the value of which is listed above. Charges of the Initial Membership Price are non-refundable. The credit card you use for your Initial Membership Price will be stored as the default credit card in the “Wallet” section of your Account Profile. Frontier reserves the right to cancel, extend, or suspend Membership at its sole discretion for any reason. MEMBERSHIP WILL AUTOMATICALLY RENEW FOR SUCCESSIVE ONE-YEAR TERMS UNLESS YOU CANCEL THE MEMBERSHIP BY UNSUBSCRIBING WITHIN YOUR FRONTIER MILES ACCOUNT PROFILE ON THE SITE BEFORE MIDNIGHT MOUNTAIN TIME ON THE FINAL DAY OF THE END OF THE CURRENT TERM. Recurring Discount Den Membership is effective for a period of one year following the renewal date in each succeeding year. Charges of the Renewal Price are non-refundable. The Renewal Price will be assessed to the credit card on file as the default credit card in the “Wallet” section of your Account Profile. If the credit card on file as the default credit card does not process successfully, Frontier may assess the Renewal Price to any other credit card stored in the “Wallet” section of your Account Profile. Frontier may, without prior notice, update your credit card information via automatic account or billing updater programs offered by authorized third parties. Updated credit card information may include cancellation, changes to credit card numbers, or expiration. Frontier has no obligation to update your credit card information. Credit cards issued by certain banks may not be eligible for updating; you may determine your eligibility by contacting your credit card issuer. The only way to withdraw your consent to the use of a credit card updating service is by cancelling your Membership in the Discount Den program as described above, which will also cause you to lose your Discount Den benefits. The Renewal Price is subject to change by Frontier at any time without notice. Any increase in the Renewal Fee will take effect upon the following year’s renewal. Frontier may modify the terms and conditions of the Discount Den at any time without notice. By agreeing to these terms and conditions, you are agreeing to receive Discount Den emails sent from Frontier. If you cancel your Membership in Discount Den, this may stop all Discount Den emails from being sent to you. Following the instructions included on any email to unsubscribe from that email is the only way to unsubscribe from emails. Terminate the Program with six months' notice; any such notice would appear on www.flyfrontier.com. Frontier may make any one or more of these changes even though such changes may affect the Member's ability to use Miles that the Member has already accumulated. Frontier accepts no liability for any losses or claims arising from any inability to access www.flyfrontier.com or any web page located on such Site, or any failure to complete a transaction. Frontier will not be responsible for lost, misdirected, bounced or late delivery of information delivered via email. Under no circumstances shall Frontier’s liability exceed your current Discount Den Membership fee, where applicable. Frontier shall not be held liable for, and you hereby waive any claims against Frontier for, any damages whatsoever (whether direct, indirect, special, punitive, exemplary, incidental, consequential or otherwise, whether stated in contract, tort, strict liability or otherwise, and even if you have been advised of the possibility of such damages) arising out of (a) your participation in the Program (including but not limited to the accrual or use of Miles or any travel or travel-related activities in connection with the Program); (b) the acts, omissions, products or services of any person or company rendering services or providing offers in connection with the Program; (c) any failure or delay arising out of use of this website, including, without limitation, error, omission, interruption, defect, delay in transmission, or computer virus; and/or (d) Frontier’s acts or omissions in connection with the Program. Without limiting the generality of the foregoing, if Frontier Airlines improperly denies a Member Miles, Award Travel, Discount Den pricing or some other`1 benefit, the Member's exclusive remedy shall be the issuance of the improperly denied miles, Award Travel or such other alternative benefit as determined by Frontier in its sole discretion, and Frontier shall have no additional liability whatsoever. Frontier Airlines shall not be deemed to be in breach of these Rules or be liable to you or any other party for damages for any delay or default in performing hereunder if such delay or default is caused by conditions beyond its control including, but not limited to, weather conditions, acts of God, force majeure, strikes, civil commotions, embargoes, and wars or other hostilities, whether actual, threatened or reported, and/or any other cause beyond the reasonable control of Frontier Airlines. Frontier makes no warranty of any kind regarding the Program. The Program is provided "as is" and without any warranty of any kind, either express or implied. FRONTIER AIRLINES EXPRESSLY DISCLAIMS ALL WARRANTIES AND CONDITIONS, INCLUDING WITHOUT LIMITATION ANY EXPRESS OR IMPLIED WARRANTY OF FITNESS FOR A PARTICULAR PURPOSE, MERCHANTABILITY, AND/OR THOSE ARISING BY STATUTE OR OTHERWISE IN LAW FROM DEALING OR USAGE OF TRADE. Miles between Members may be transferred member-to-member at a fee by contacting our FRONTIER Miles team at (801) 401-9000. Mileage transfers as a result of domestic matters such as divorce or separation are subject to receipt of applicable documentation showing court decree of FRONTIER Miles ownership. Upon the death of a Member, without: (i) the death certificate of the Member or (ii) letter from the executor. In instances of multiple executors or heirs of Miles based on court documents, Miles are divided as directed by the court. In the event an heir does not have a FRONTIER Miles account, they may enroll or submit written permission to waive their rights to their Miles and those Miles will be divided among the remaining heirs. Miles and Award Travel have no cash value and may not be redeemed for cash. Miles may not be re-deposited unless a Member properly cancels Award Travel in accordance with all applicable cancellation policies. Except to the extent permitted through Frontier’s business partner Points.com or as expressly authorized by Frontier, Miles or Award Travel may not be sold, bartered, or otherwise exchanged for value. Any Miles or Award Travel that are/is purchased, sold, bartered, or otherwise exchanged for value are/is void. Violators (including any Member who uses a purchased or bartered award) may be liable for damages and litigation costs, including the actual cost of travel and/or Frontier attorneys' fees incurred in enforcing this Rule. Award Travel, accumulated Miles and special offers are subject to applicable government laws, rules and regulations and are void where prohibited by law. Fraud, misrepresentation, abuse, improper conduct (as determined by Frontier in its sole discretion), or violation of applicable rules (including, but not limited to, Frontier’s Contract of Carriage, tariffs and Program Rules) may result in administrative and/or legal action by appropriate governmental authorities and/or Frontier. Such action may include, without limitation, the forfeiture of all Miles and/or Award Travel, forfeiture of any accumulated miles in a Member's Account, deduction of FRONTIER Miles, as well as cancellation of the Account and proscription of the Member's future participation in FRONTIER Miles. In addition, Frontier reserves the right to take appropriate legal action to recover damages, including attorneys' fees, incurred in prosecuting any lawsuit. Any violation of such applicable Rules includes, but is not limited to, Members who are disruptive or otherwise threaten or endanger the safety and security of Frontier crew members or other Frontier customers as described in the Frontier Airlines Contract of Carriage and tariffs. Frontier reserves the right to audit, at any time and without notice to Members, any and all FRONTIER Miles accounts to ensure compliance with these Program Rules. If the audit reveals discrepancies or possible violations of these Program Rules or Frontier believes that such audit will reveal discrepancies or possible violations of these Program Rules, Frontier may delay or cancel the processing of Travel Award redemption requests, and/or cancel any outstanding Award Travel, delay the posting of accumulated Miles and/or withhold statements until the audit is completed. You are responsible for referencing your online FRONTIER Miles account information and these Program Rules to understand your rights, responsibilities and status under the Program. Frontier will attempt to advise active members of various matters of interest through its website, but Frontier has no liability for any failure to do so. Frontier shall have no liability for correspondence, mail or e-mail, that is lost, delayed, or misdirected. Members are responsible for maintaining a current email address. For questions about FRONTIER Miles, please visit www.flyfrontier.com or call Frontier at (801)-401-9000). Customers with hearing or speech impairments can dial 7-1-1 to reach our relay service. Frontier assumes no responsibility for the actions of Miles partners in connection with any program that provides for the transfer or accumulation of Miles. The Rules are subject to interpretation by Frontier. Headings used in these Program Rules are for convenience purposes only and shall not be used in interpreting the Program Rules. Any disputes in connection with FRONTIER Miles or these Program Rules shall be governed by Colorado law, exclusive of Colorado choice of law rules, and the Member agrees to the jurisdiction of the Colorado courts to resolve any dispute in connection with FRONTIER Miles, the Discount Den or these Program Rules. Any dispute arising between you and Frontier will be resolved by submission to arbitration in Denver County, State of Colorado in accordance with the rules of the American Arbitration Association then in effect. Notwithstanding the foregoing, nothing in this Agreement is intended or shall be construed to negate or otherwise affect the consumer protection laws of the state in which you reside. Income tax liability on Travel Awards, if any, is the responsibility of the Member.